Chorizo Seco is found throughout Spain. It represents the foundation for many chorizos that are appropriated by regions adding in hints of flavours, casing and meat grinding sizes, making this flavorsome “embutido” theirs. 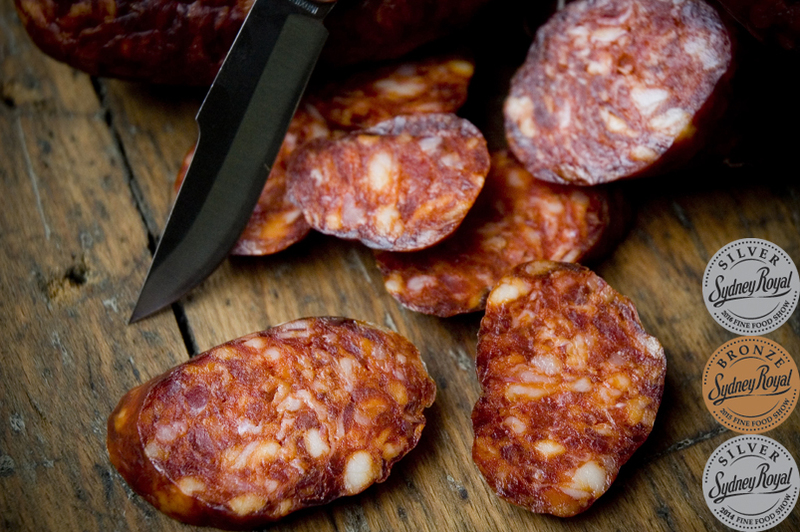 It is found in many guises, From the north, the chorizo Pamplonico as it is afectionally called in Pamplona, where you can find a particular grind and a hint of northern flavour, to La Longaniza Roja in the furthest south of Spain where the influences of the four hundred years of Moorish occupation is still felt.